They live in Taimyrsky autonomous Okrug of Krasnoyarsky Krai (1278 p.). The self-designation is nganasa(n), meaning 'man'. The primal meaning of the root ngana is 'real', 'true', 'genuine' and frequently both are used together in ngano nganasan - 'genuine (our) man'. Etymologically, the name derives from the same origin as Nenets and Enets. The above self-designation has only been in use since the 1930s and identification with it is not unanimous. The Avam or Western Nganasan call themselves generally nyaa ~ n'aa -- 'brother', 'fellow'. This has analogues in the Nenets and Selkup languages. To the east, the Vadeyev dialect uses the name as'a, meaning 'brother' but also 'Evenk' or 'Dolgan'. The prototype for this, osha, is found in the Evenki language. The earlier and more widespread name is Tavgi-Samoyed, or simply Tavgi. 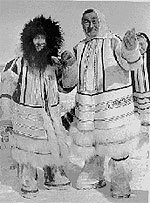 The term comes from the Nenets whose tavy ~ taawi denotes the Avam Nganasan. Through Russian Tavgi has become established in other languages and outside the former Soviet Union it is universally used up to the present day. The name Samoyed may have derived from the Selkup word, somatu ~ samatu, denoting the Enets. It may, however, also originate from a yet unknown non-Russian word. The first written record of the Samoyeds was made by Monk Nestor. In his chronicle A Tale of the Times Past they appear as samoyad. The Nganasans are the northernmost of the Samoyedic peoples, living on the Taymyr Peninsula in the Arctic Ocean. Administratively, their Arctic territory is part of the Taymyr Autonomous Region of the Krasnoyarsk district (formerly the Dolgan-Nenets National District). Their "capital" is the village of Ust-Avamsk. The Avam Nganasans live in the Avam District in the western part of the Taymyr Peninsula, in the valleys of the rivers Pyassina, Dudypta and Boganida. The speakers of the Vadeyev Dialect live in the tundra and in the eastern parts of Taymyr, in the Khatanga District by the river Heta, Lake Taymyr and Khatanga Bay. The Nganasans share their territory with the Dolgans. Their southern and southeastern neighbours are the Yakuts, in the southwest they border upon the Enets. The northern and central parts of the Taymyr Peninsula are mainly frost desert and to the south there is the permafrosted tundra. During summer the maximum temperature is +13 �C while in winter the average is below -30 �C. The language belongs to the Samoyedic branch of the Uralic languages, and with the Nenets and Enets languages it makes up the Northern Group. There are two distinguishable dialects: the Avam or Western Dialect, and the Vadeyev, Khatanga, or the Eastern Dialect. A separate group, the Oko tribe, exists, formed of the Nganasans of Dolgan origin, assimilated in the 19th century. The dialectal differences are minor and phonetic only. A speaker of one dialect can quite easily understand the other. The Nganasan vocabulary is mainly of Proto-Samoyedic origin. Contacts have occurred with all the neighbours and compared to its cognate languages, Nganasan has been under a strong influence from the Evenki and Dolgan languages. In some fields, like reindeer-breeding and animal husbandry, Nenets loan-words are in evidence. In the past it was common that a Nganasan would be familiar with the language of the Dolgans, the Evenks or the Nenets (and vice versa) but since the 1950s Russian has developed as the lingua franca. Large-scale loans have been made from Russian, particularly in the fields of politics, social life, economics and culture. Direct contact with Russian occurs from school, the press, cinema, governmental organizations, public services, and numerous other areas. The intense russification of the 1970s was pivotal. Nowadays, Russian words and phrases are arbitrarily inserted into Nganasan speech and a sudden switch in conversation to Russian, depending on the subject or partner, is a common phenomenon. The younger Nganasans have lost command of their native language. Political missionary work in the land of the Nganasan was set under way in the 1930s. In 1931 the idea of "red chums" was proposed, that is, special tents for ideological instruction. For all nomadic peoples such as the Nenets, these tents and their fittings were to be transportable. In 1934, in the all-Union paper, Komsomolskaya Pravda, there appeared an appeal for Young Communists to go and help the northern peoples build a communist society. While in 1933 and 1936 the Nganasans were fortunate enough to avoid the red commissars, in 1937 they fell prey to a metalworker from Moscow, named Amalia Khazanovich. She knew nothing of the language or customs of the Nganasans, nevertheless she set upon an unrestrained attack on their way of life and tiraded against institutions such as shamanism. Her intrusive ignorance and pompous recklessness fully qualified her as a worthy representative of Soviet power. In the 1930s the campaign for the abolition of illiteracy (i.e. the teaching of Russian) also reached Taymyr, and the children were forcibly placed into boarding schools. Major changes have continued since the 1950s. Reindeer and pastures are now the property of collective farms and the Nganasans have settled down into villages. Free hunting of reindeer is prohibited. For his own needs a man is allowed to shoot only one animal per year. However, due to the massive slaughters conducted annually from helicopters the number of reindeer has been greatly depleted; an average of 50,000 are shot every season. As a consequence the animals have changed their traditional paths and are more difficult to find. The lifestyle of the Nganasans has gradually approached the Soviet norm; they have come to prefer ready-made clothing and food from the foodstore. The prestige of the few remaining shamans has been erroded and they have few true believers left. The changes have had their price. Many among the Nganasans cannot adapt themselves to the altered demands of life. Large numbers of Nganasans are employed as unskilled labour and many are unemployed. The 1980s saw decrees which prescribed employment for ethnic minorities in industry, construction and like fields. Discrimination at work is common. Alcohol-abuse is a universal plight. 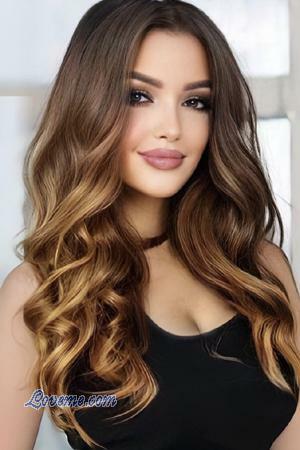 This is a major factor in the high incidence of mixed marriages since Nganasan women prefer fertile Russian males to their heavily-drinking countrymen. Military service has come to be a mark of privilege since, on grounds of defective health or a poor level of education, many Nganasans are pronounced unfit. The Russian language and milieu enjoy a high reputation amongst the Nganasans, but unfortunately, this milieu does not accept the Nganasans as equal human beings. Russians (resp. Europeans), who dare to associate with the natives are often themselves ostracized. The Nganasans have never had a written language. While Nenets has performed the functions of a regional second or common language, a lingua franca, Russian alone has served as the literary medium at school and in social life. A 1980 decree by the Central Committee of the CPSU and the Council of Ministers, concerning the promotion of economic and social welfare among the northern peoples yielded in 1988 a Nganasan literary language. N. Tereshchenko compiled the 41-letter alphabet based on Russian characters but unfortunately no data exists of its actual use. The initiative was extrinsic and not guided by practical needs.